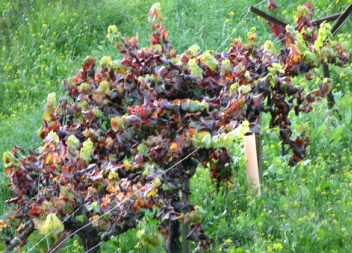 ​This is one of our favorite tours taking you to the hidden gems around the back roads of west Sonoma county. This is a full day tour and should be started no later than 9AM in order to complete the entire trip. We'll direct you onto some of the most scenic backroads in Sonoma County, take you to an ancient redwood forest and introduce you to some really great "local" restaurants. This is a full-day tour lasting between 6-8 hours, leaving you happy and phone filled with pictures. Our next stop is a real special treat. Travel back in time as you take a walk through Sonoma County's treasured Armstrong Redwoods Preserve. You'll be introduced to a magnificent 1,000 year-old Coastal Redwood and marvel at the height of these amazing giants. After building up an appetite we'll make a stop for lunch where you'll have several options to choose from including tasty BBQ and a gourmet champagne deli. You'll then experience a wonderful tour and tasting of the world-famous Korbel Champagne Cellars and relax under the shade of the redwoods. Next, we'll happily share with you a couple of the local's favorite haunts for some tasty treats at Kozlowski Farms and Mom's Apple Pie. We finish the tour with a scenic backroad drive that will end with a spectacular view of the Pacific Ocean. NOTE: The Backroads, Redwoods & Champagne Tour is a 60 mile round-trip "soft adventure" journey lasting between 6-8 hours and we recommend that you reserve the entire day to fully enjoy it - so get an early start no later than 8-10AM. You'll need to bring some cash, as some businesses along the way do not accept any other form of payment and some old walking shoes that are suitable for sand and mud. Since Sonoma County is known for it's micro climates, you will want to wear layers, bring sunglasses & sunscreen and possibly an umbrella. There are several opportunities to purchase gasoline, water, snacks and food along the way so it isn't necessary to "stock" up before the trip. This tour is suitable for all ages, but you will want to keep Fido home. Wheelchair accessibility: There are quite a few stops requiring one to "hike" and/or "walk" along the way, but the scenic drive portion of the tour can easily be viewed from the vehicle. Buy both tours on Cd & save! Each Cd includes the paper map, legend and information sheet. We offer free delivery to local Bodega Bay area hotels with 24 hours notice or, if you prefer, we will ship your Cd via USPS Priority Mail to USA destinations for an additional $6.95. ​​​​​​​Step 1: Click the image below to purchase the download. You'll be redirected to CD Baby to complete your order. and we will send you the Map, Legend and Tour Information Sheet.